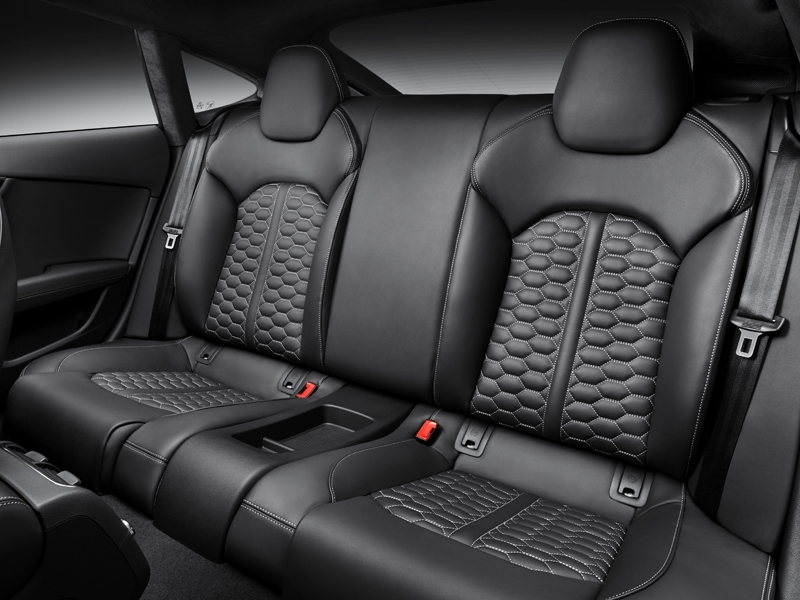 The Audi RS 7 unites design and dynamics, combining the strengths of a large, five-door coupé and a sports car. Its 4.0 TFSI engine with biturbo turbocharging produces 560 hp and 700 Nm of torque. The sprint from 0 to 100 km/h takes 3.9 seconds. An option raises the electronically limited top speed to 305 km/h. Despite this impressive performance, the large, five-door coupé consumes an average of just 9.8 liters of fuel per 100 km. Five doors and a flowing coupé silhouette with distinctive accents – the RS 7 embodies the Audi line of dynamic elegance in its purest form. 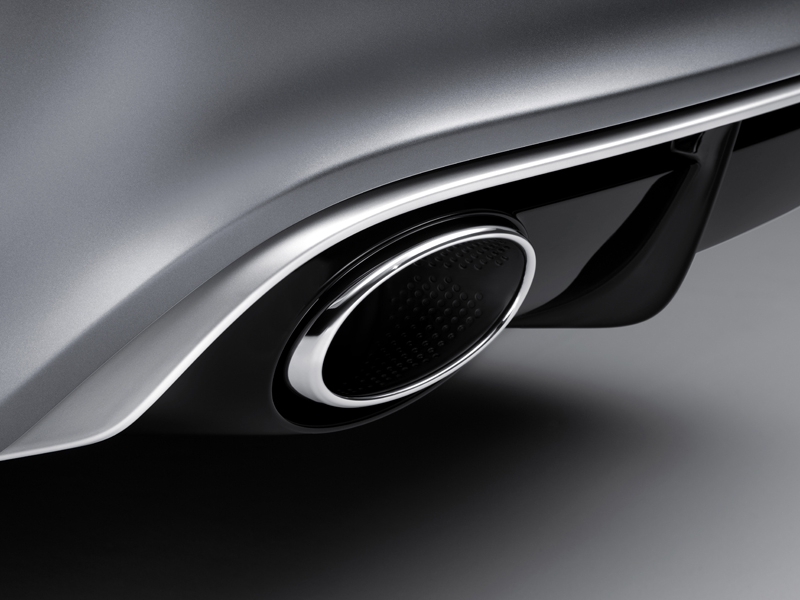 The long engine hood, the 2,915 millimeter wheelbase and the short overhangs create a sculpture with balanced proportions. 5,012 millimeters in length, the five-door coupé has a powerful presence from any angle. The design of the RS 7 follows the primary line of Audi: Aesthetics and function form a unit; they highlight the beauty of the technology. Many detailed solutions come from racing, and as in the Audi race cars they assume specific functions. The vertical blades in the large air inlets, for example, serve as a pre-spoiler, directing the slipstream in such a way that it flows cleanly on the flank very early. Their appearance underscores the car's firm road stance. The slim honeycomb grilles at the front allow high air throughput, and a retractable rear spoiler plus a rear diffuser reduce rear axle lift. 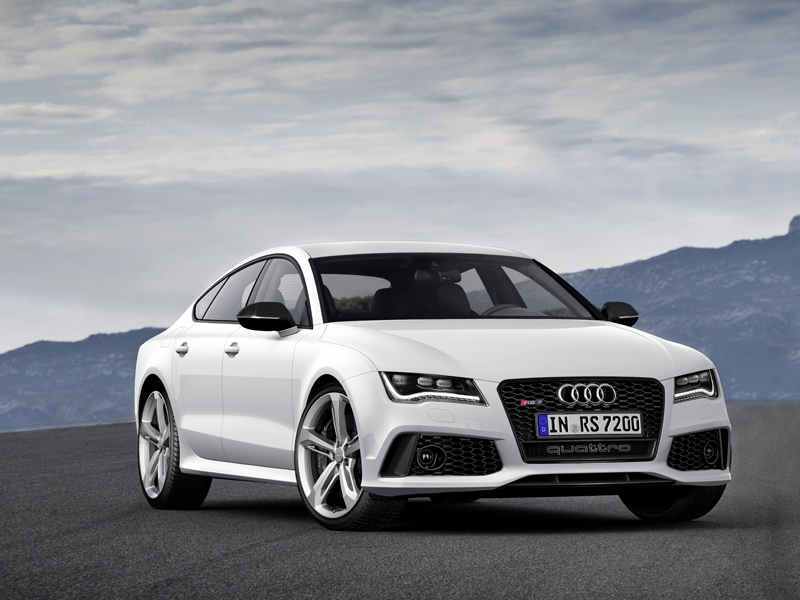 The dynamic character of the Audi RS 7 is apparent at first glance. The distinctive bumper and the Singleframe grille with its beveled upper corners characterize the front end. In combination with the styling packages, a separate segment of the grille designed as an air duct is located below the license plate. The flat headlights widen toward the fenders, shifting the optical focus outward. 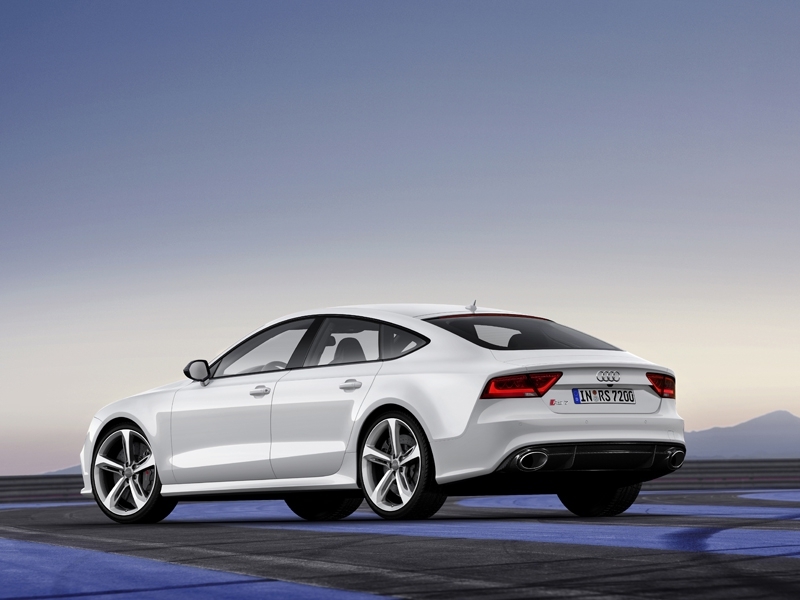 Viewed from the side, the five-door, high-performance coupé presents a strongly defined line. Its roof arch is a flat dome; the C-pillar stretches endlessly to the rear and flows into the shoulder of the body. It encompasses a third side window with an upward pointing tip. The ratio of painted body surfaces to the frameless windows is two-thirds to one-third, a typical Audi proportion. 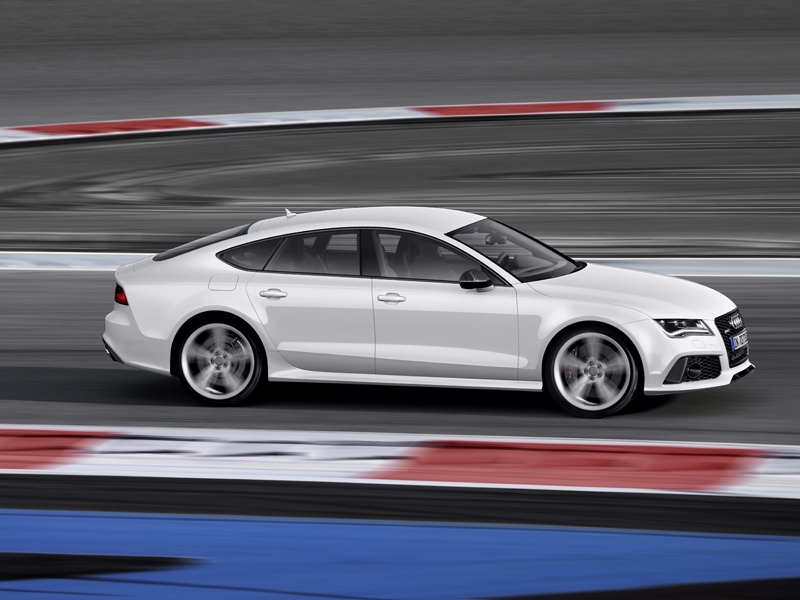 Another distinguishing design element of the Audi RS 7 is the sharp tornado line spanning the flank. It starts at the headlights and extends along the fenders, the doors and the rear side walls as it gently slopes toward the tail lights. Above the striking side sills is the dynamic line, which runs slightly upward over the doors before turning sharply upward at the rear.